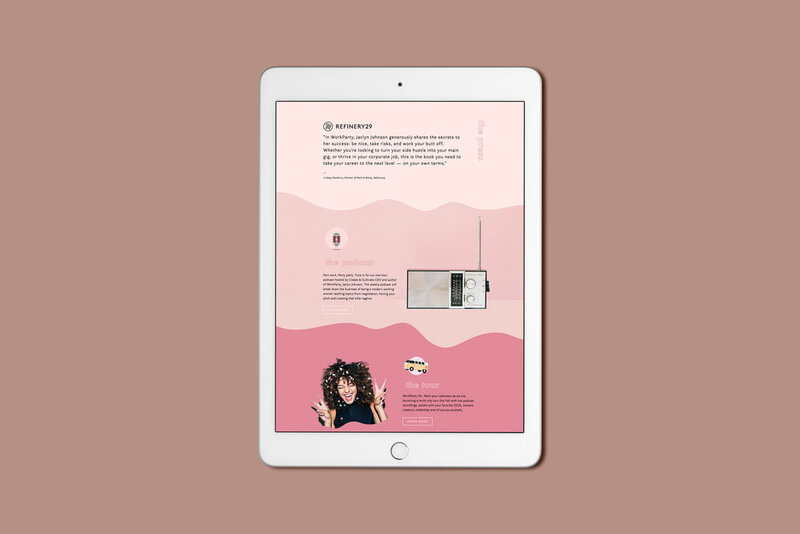 Jaclyn Johnson, the amazing boss and CEO of Create and Cultivate, needed a new website for her newest project, WorkParty™. WorkParty™ is a movement of women redefining the meaning of work on their own terms. The new site is a fun celebration of Jaclyn’s new book, WorkParty™! A podcast and tour will follow the book in 2018-19. Jaclyn came to us with a beautiful logo design that perfectly captured the spirit of WorkParty™, and then the task was to create an online home for the brand. Animated gifs and wave-like graphics were incorporated throughout the custom site to create movement and give off an exciting vibe.